Do you need a professional local mobile locksmith in Carlton?? 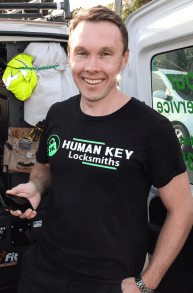 Call Michael from Human Key Locksmiths 24/7 on 0403-735-103 for all of your locksmith needs. Locked out? Need your locks changed or rekeyed in Carlton? Domestic and Commercial Locksmith for your home and business. Anything that involves a lock and a key we can service/repair/install at the best price. Call anytime for a professional customer service experience.